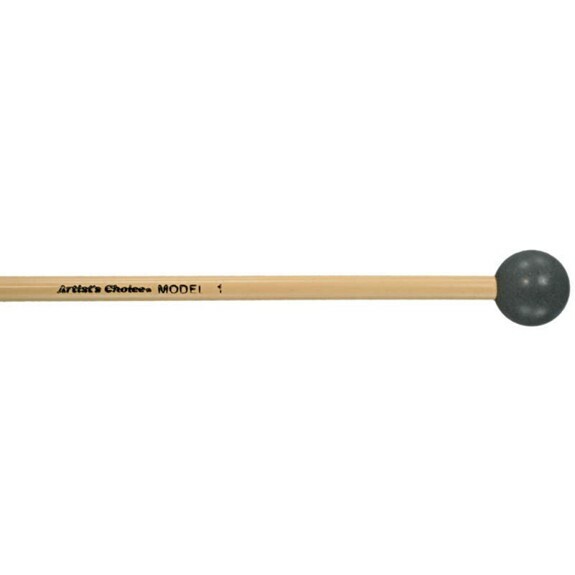 Grover Pro Percussion M1 Xylophone / Glock mallets feature a 1" hard PVC Ball and rattan handles. In 1980, Grover Pro Percussion was one of the very first companies to pioneer the use of poly plastics in mallet construction. Their Orchestral XYLO/GLOCK models feature unbreakable polymer heads which are specifically weighted to bring out enhanced fundamental tones from xylophones and glockenspiels. Each model features high quality 14" rattan handles, matched for diameter and flex. Grover Pro Percussion designed their mallets for the professional mallet player. Each one of their models has been specifically designed to maximize sound production and to afford the player a mallet capable of sonic expression.